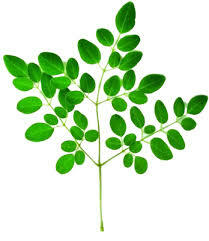 Moringa oleifera is an amazing tree full of nutrition. My first introduction was, "The Tree That Could Save The World From Starvation"! Some of the great benefits of Moringa leaves is that they are 7 times higher in Vit C than oranges, 4 times the Vit A of carrots, 4 times the calcium of milk and twice as much protein as milk, 3 times more potassium than bananas, 3 times the Vit E of spinach, and 3 times the iron of almonds. We harvest the fresh leaves, dry them quickly to retain the nutrients and color and bag them whole. Sold fresh in a bag. 2 ounces. Arugula - Organic - 4 oz. Moringa Leaf - Organic - Dried - 1 oz.